Wondering how the best clinics are achieving year over year productivity growth? ClinicServer provides clinics with the ability to improve clinic management through our secure, cloud-based Clinic Management Software (CMS) which has the ability to schedule clients/resources, send e-reminders, complete reporting, billing and more. ClinicServer works the way a real clinic works. Our services are designed by practitioners for practitioners offering a complete management solution. Like you, we value the client experience from initial contact through to completion of billing. We are proud to offer your clinic one tool to efficiently manage all aspects of your business. We help you Simplify, Empower, and Grow your clinic. ClinicServer’s parent company, IBL-Internet Business Logic Inc. has been in business for over ten years. The company began with a group of visionary clinicians who believed that one day the Internet would replace local area networks as a way of delivering software. They set out to design a product that would meet the needs of single and multi-location clinics. While other companies tried to solve the problem using expensive hardware, or with home-office level software, ClinicServer built an Internet application that serves as its own secure private network. ClinicServer allows users to log in from any computer with an Internet connection and exchange encrypted information that is hosted at a world-class data centre. The first version of ClinicServer was deployed in 1998, making it among the first true Internet applications for medical practices in the world. "My vision has always been to improve clinics so they can operate more efficiently. That is why I created ClinicServer." 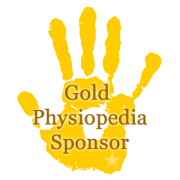 ClinicServer has received recognition and endorsement from the Chartered Society of Physiotherapy (CSP) to provide their membership with the Community Edition - a free secure cloud-based appointment diary. Specially designed to provide physiotherapists in the United Kingdom with the ability to increase efficiencies and improved their clinic management. Perfect for physiotherapists looking to start using cloud-based software. Coming Soon! Save time by letting your clients book their own appointments online based on your availability. Coming to the UK Soon! Currently available in Canada. Simplify daily operations. Optimize your services by incorporating client billing. Empower you clinic by enhancing your customer’s experience with direct billing. Designed to help your clinic grow. Innovate your business, become completely paperless. Securely access your appointment book/diary either through your Android, iPhone or Blackberry mobile device. ClinicServer’s support team is available and also consists of online resources for each subscription level. You have a clinic to run and operating a business can be expensive and time consuming. The majority of clinic management systems on the market can cost you hundreds and even thousands. ClinicServer provides physiotherapists with software specifically designed for effective clinic management. Studies have shown clinics using ClinicServer improve productivity by minimum to 5% year over year and increase the average number of appointments per provider anywhere from 4.7% – 4.9%. Efficiencies have been increased through the use of features such as e-Confirmations which allow you to send appointment reminders through email and your patients can confirm in real-time. Spending less time on administration and maximize on billable time. Through the use of enterprise cloud-computing, ClinicServer allows you to avoid the complexity of wires, networks, servers, manual upgrades, and headaches associated with backing up data. You also avoid expensive technical IT teams to keep your systems running. Instead, you run your clinic on a shared data centre which allows you to just plug in to get started with a simple one-time set-up. Just register, customize your account and start using it. As secure as Internet banking, you have the ability to access your diary anywhere and at anytime from either your computer or mobile device. Our team of experts allow your clinic to have more security, scalability and reliability. Rest assured that your data is safe from theft, computer crashes or unforeseen equipment damage since ClinicServer securely backs up all your clinic records. Should your computer fail simply replace it, login and continue from where you were before. Your data will be waiting for you and your business will be protected. Stop wondering how the best clinics are achieving year over year productivity growth and register now to add greater value to your clinic with a diary that lets you manage and organise your time, patients, practitioners, resources, rooms and equipment. All you need is an Internet connection to be positioned for success. Our cloud-based solutions are used by clinicians operating in Canada, the United Kingdom and throughout various locations world-wide.